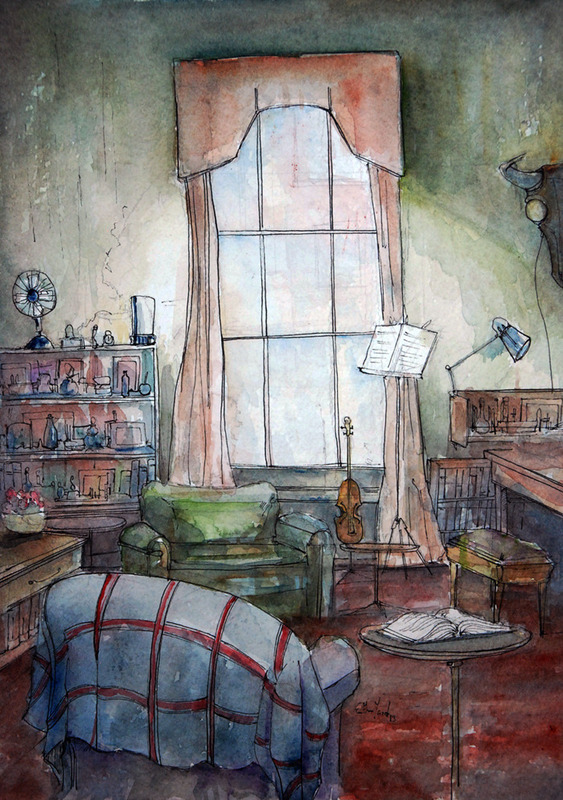 If what the Moftisses say is anything to go by, they were meaning to show how he changed from the rather boyishly enthusiastic fellow seen in Conan Doyle's Study in Scarlet, into the more mature and cynical man seen in ACD's later stories. I hope they mean it -- that'd be a relief to me, after S3 and S4! 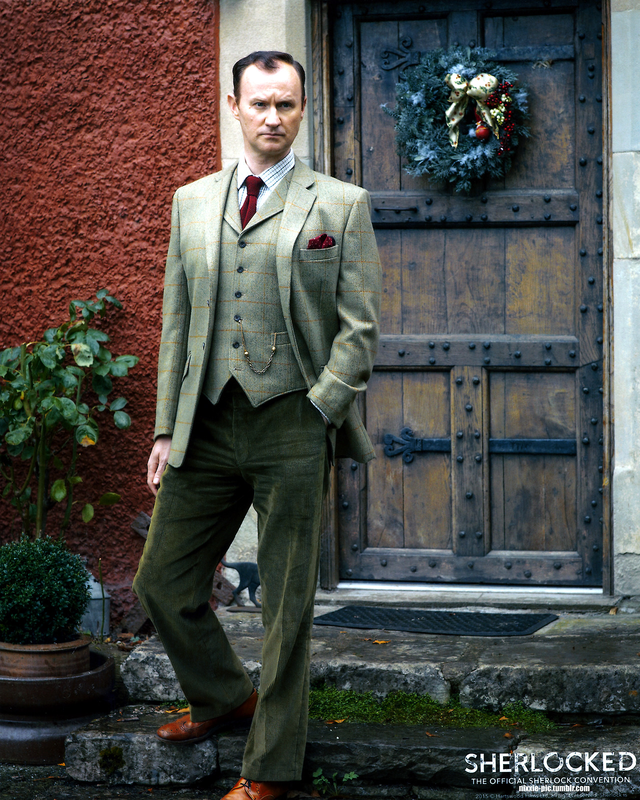 Anyway, I do see movement towards Lestrade's "good man", which was the only expectation I had. Lot of bumps in the road, though. That's okay, that's one of the things that makes him interesting. Since we're in the "Fave Pix" thread … here's one I just found. They all look sadly older (damn that blue lighting!) 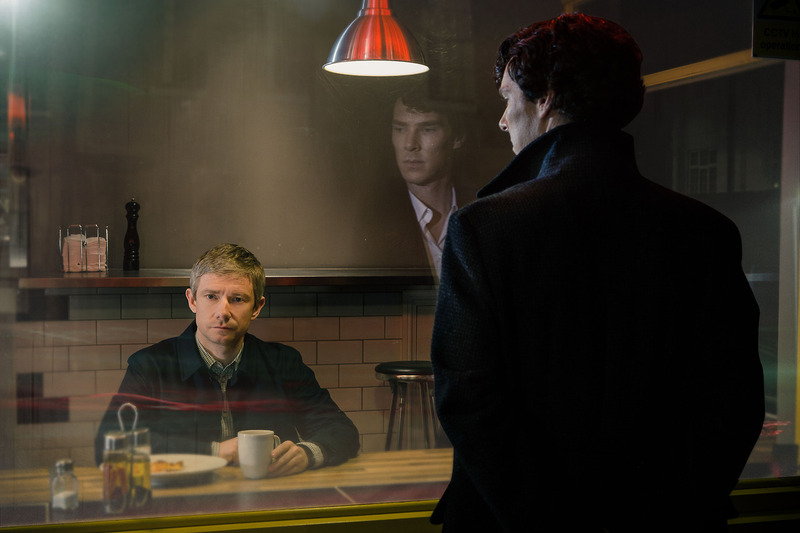 but I like the composition and what it says about Sherlock. He's very heroic here. Is this an "official" image, does anyone know? Or a fan thing? I've never seen it before. I would have said “oblivious” rather than “innocent” (though I get what you mean), and I don’t really think his self-esteem is all that bad. But even if it is, the last thing I’d call him is “delicate”. A delicate person would fall apart when called a “freak”. Feelings aren’t what make a person delicate, it’s whether their feelings make them ineffective. Sherlock gets a lot of negativity thrown at him and probably feels every bit of it, but never lets it deter him from action when there is action to take. (Or if he does, it’s the exception rather than the rule.) I’d say he’s the opposite of delicate. Even physically I wouldn’t call him “delicate”. Yeah, he’s thin, but not so much that I’d be afraid of breaking him, lol. His opening scene in TBB was him besting a swordsman, unarmed. I thought they did pretty well establishing that he can hold his own, lol. That’s just my personal reading of the character, of course. I can see where the other opinions come from. I guess I just don’t agree. Interestingly, now that I’m thinking on it, he often seems to treat John as if John is delicate. To be honest, I think we're seeing the same thing, but using different terms to describe it. At any rate, I agree with everything you said, but I still stand by what I said, if that makes sense. 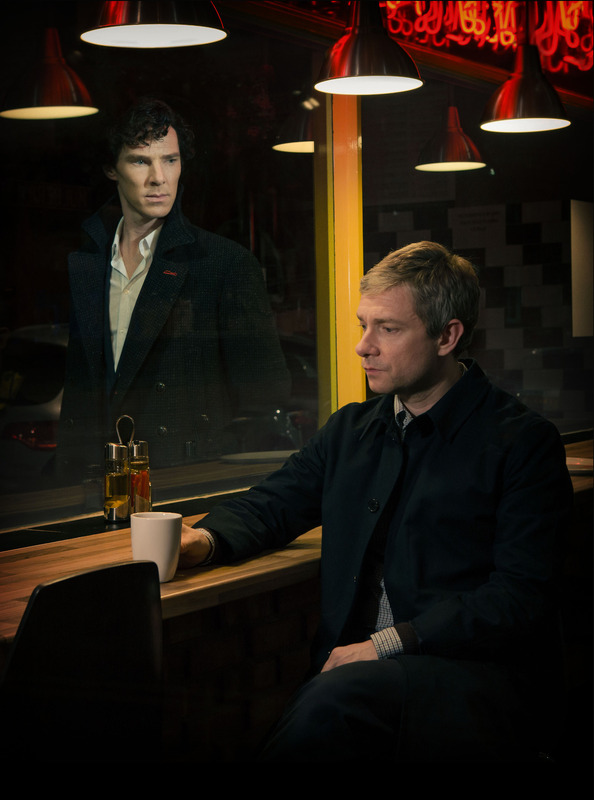 I guess another way of putting it would be, Sherlock's delicate enough to have very deep feelings. He just tries not to let it show. Whereas John, I would say, is more expressive, but in the end his feelings don't run as deep. Or maybe it would be more accurate to say that his insight into what people feel (including himself) doesn't run as deep. Awww, everyone’s so down on S3... I liked it! Not me … I loved S3. It may actually be my favorite. 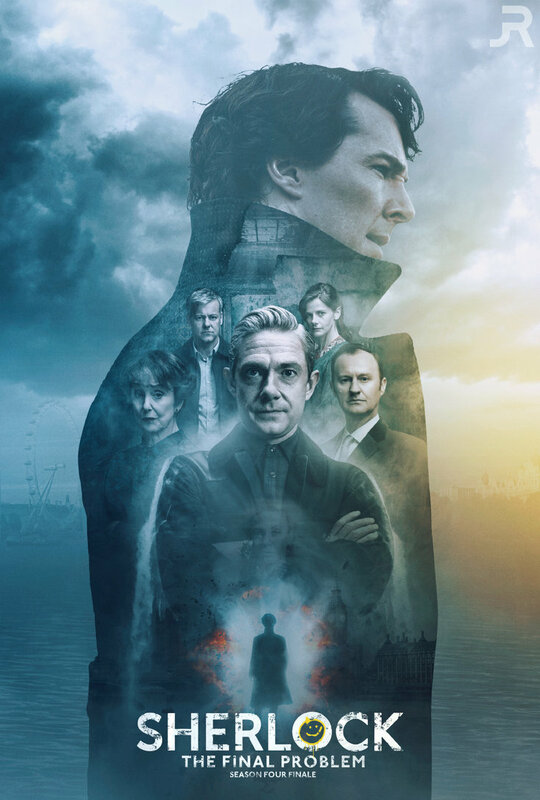 Doesn't mean it doesn't have flaws, or things I disagree with, but I think it's one of the most brilliant pieces of television I've ever seen. Emphasis on "seen." I would bet fan made. The R in the top right corner looks to be an artist’s signature, potentially. 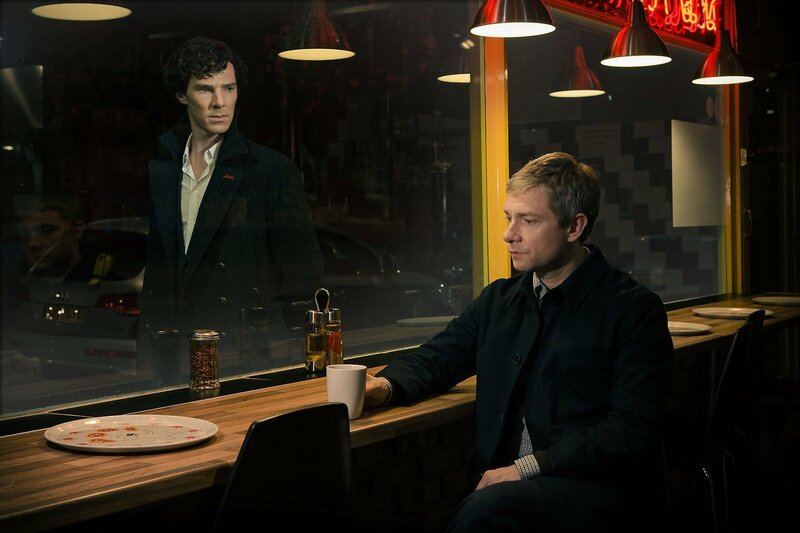 But ugh, John in that picture... glaring, resentful John is not my favorite thing. Well, whatever word you’d use, he’s still glaring, and I’ve had my fill of glaring John. Is he glaring and resentful? I thought he was supposed to look steadfast and resolute. 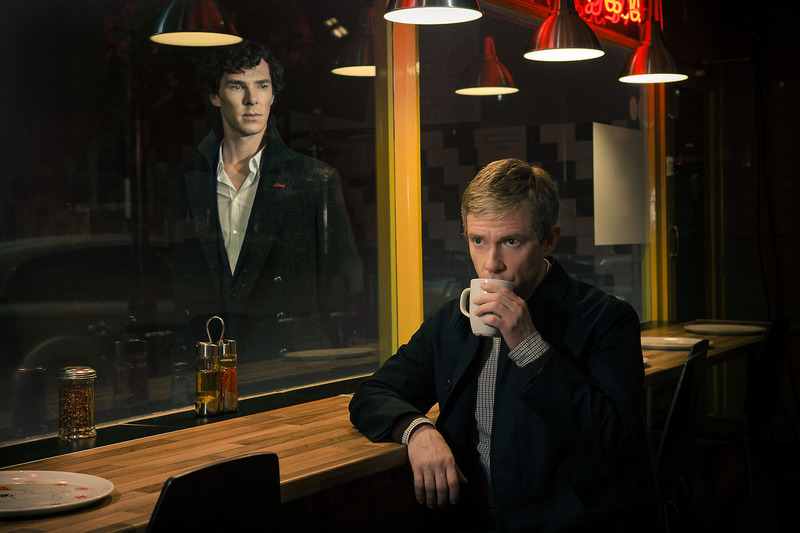 But yeah, not my favorite look for John, I prefer him looking to be a little softer of the two. I blame it on the swoop. Yeah, good description. Like he's having trouble sleeping, these days. Is﻿ he glaring and resentful? I thought he was su﻿pposed to look steadfast and resolute. 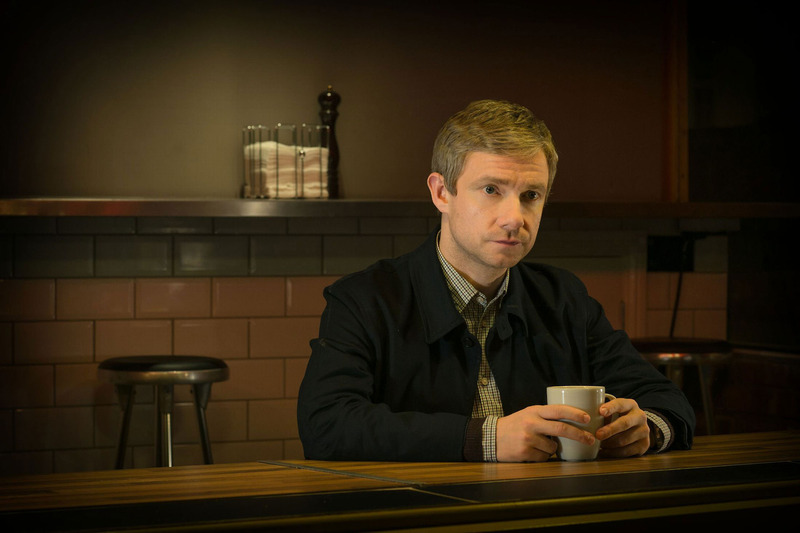 But yeah, not my favorite look for John, I prefer him lo﻿oking to be a little softer of the two. I blame it o﻿n the ﻿swoo﻿p. 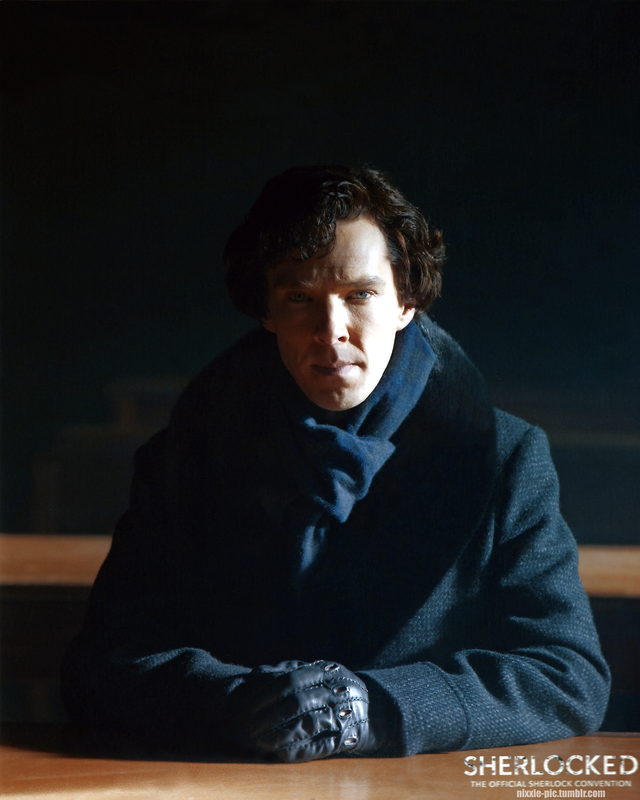 Here's what I mean (or one of my meanings) about Sherlock looking delicate sometimes … he looks like one sharp word would reduce him to tears. Not that he would let himself, here. It took Eurus to do that. This is one of my favorite scenes in THOB, btw. I just don’t see that. I think I just have a very different understanding of the word. ‘Emotionally vulnerable’ I could maybe see, like I said before; but to me that’s not what ‘delicate’ is. (I also think it would take a lot more than what’s happening in that moment to make him cry, or even want to cry.) Oh well. Nice picture, I like that scene too! 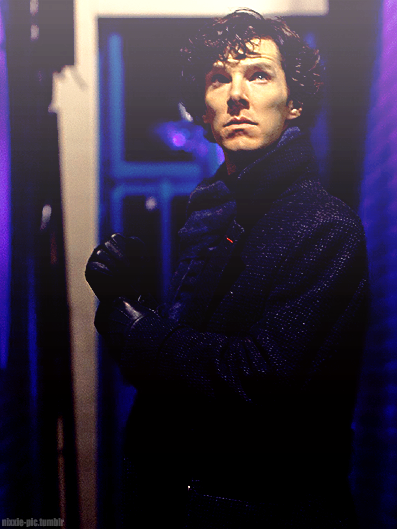 Another pic of vulnerable Sherlock, just for you. but that's a fantasy shot, isn't it? 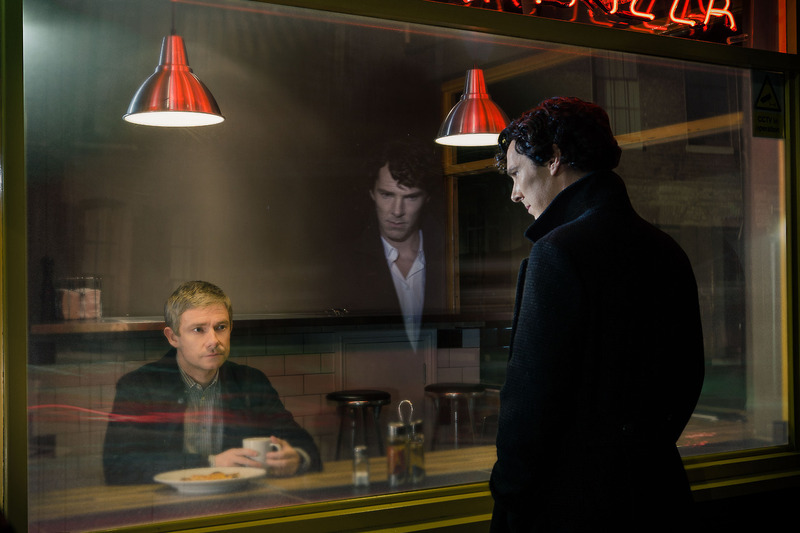 But still from Sherlock's subconscious. Yeah, I think whoever devised those has it in for Anderson. Like John and Greg, he's only incompetent by comparison to Sherlock. He's a scientist, so I'd guess that he writes with very small angular letters. I think Sally's signature would look more business-like -- that flamboyant "S" seems a bit out of place. I like the rest (especially Molly's ), but what the heck is Sebastian Moran doing here? So glad you said that, Carol. There is MorMor all over facebook too and it is just plain stupid. 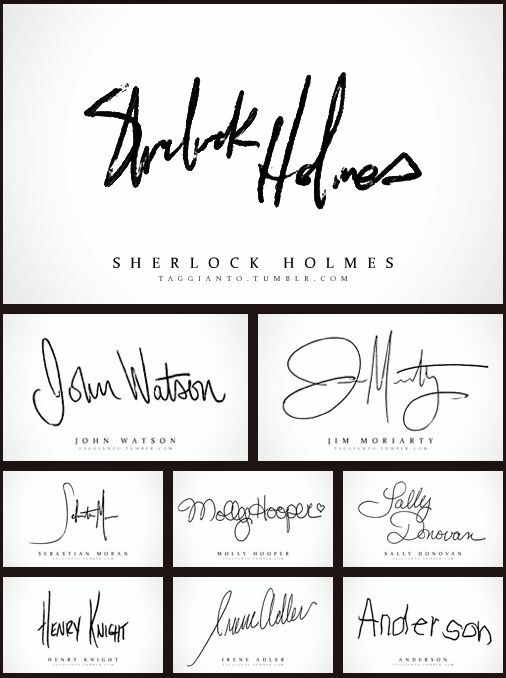 I think John's would be more illegible. He's a doctor, after all. 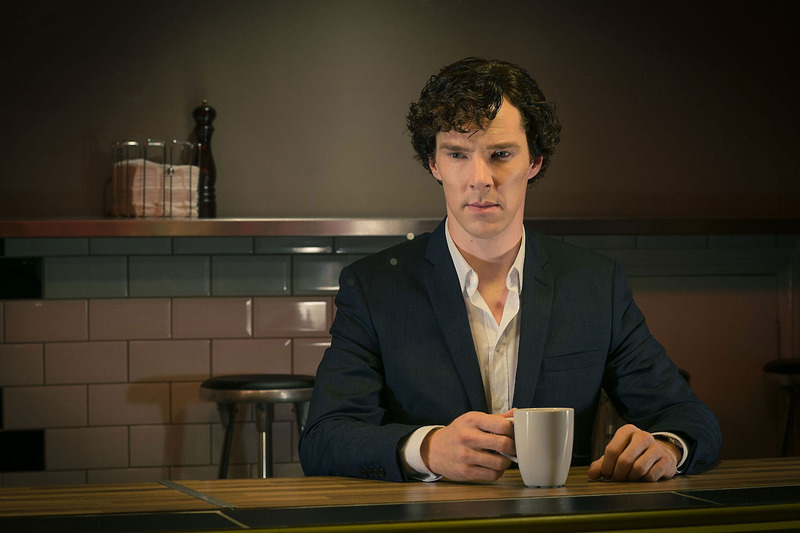 "Promotional S3 Sherlock cafe photoshoot".